The 2nd Day of sifting through the ashes of our former home consisted of a number of targeted searches. We recalled precious items, tried to remember where we last saw them, and then went in and tried to find if they were in one piece or not. Most were not. We also spent a good portion of the day cataloging. Every. Single. Thing. In rooms where items are recognizable we’re writing down the make/model of each item, even to the point of recording individual forks or screwdrivers. In rooms where items are beyond recognition, we’re going from memory. This exhaustive and faulty process will no doubt result in some missed items, but it’s the only way we can quantify what we lost for the insurance company. 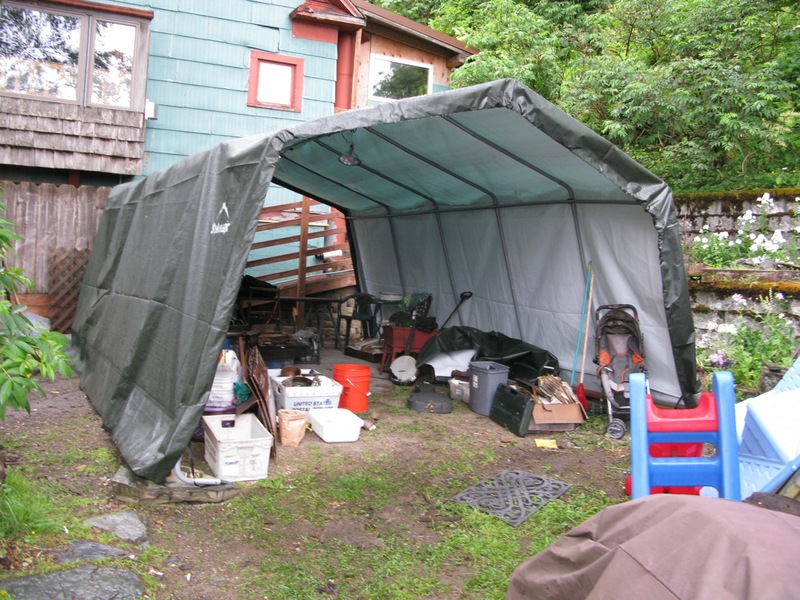 Our lovely friend Clay Good setup a tarp garage on our property, so we now have a dry place to put rescued items, as well as sort, clean, and determine if anything needs to go back in the house. It feels weird throwing things deemed garbage *back* into the house.